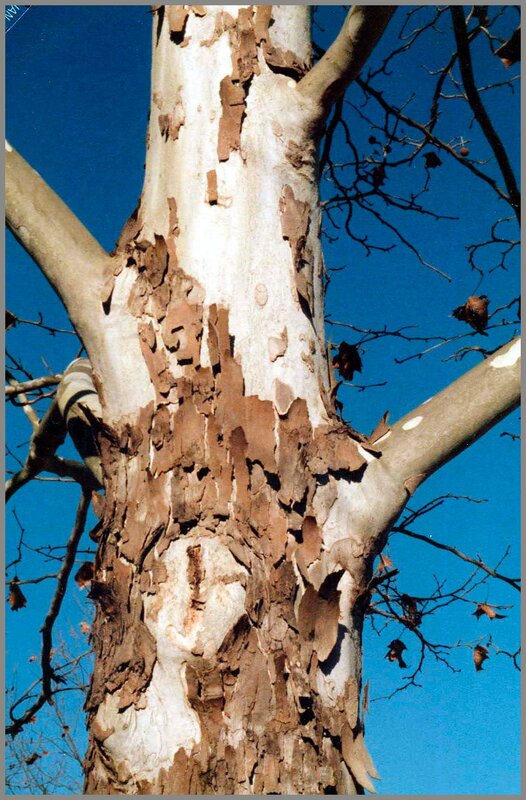 Outer Bark (periderm) - Outer bark or periderm is mostly dead cells lined with a fatty substance called suberin or cork. Plane trees store an abundance of starch in broad rays. Plane trees maintain a thick green cortex-like layer under the outer bark on mature trees. The phellem is shed every growth period and the green layer is exposed. Click here for more on plane tree. Many other tree species have a similar mechanism for maintaining a cortex-like layer on aging trunks. 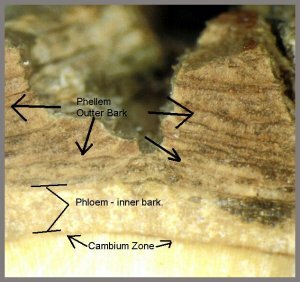 (Click here for info from SHIGO, 2002 on Bark) Bark is made up of an outer periderm and an inner phloem.